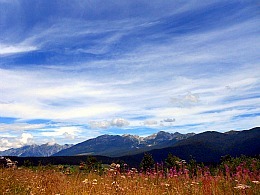 Nature of Cansiglio: this Plateau, its Forest and Botanic Garden are a Jewel for the Alpine Flora. The purpose of this page is to present the Nature of Cansiglio – and the Alpine Botanical Garden which lies in the middle – in the context of its geographical setting. The Alpine Botanic Garden of Cansiglio owes its creation – in 1972 – to the work of Professor Giangio Lorenzoni, teacher at Padova University, who conceived it, and Professor Zanardo – then inspector of the Italian National Agency for the Forests. The garden was officially inaugurated in 1995 during the celebrations for the 450th anniversary of the Padua Botanical Garden, and was dedicated – right from the start – to the memory of Professor Lorenzoni. It is an important reality in the area, not just for its beauty, but because it allows to observe and get to know – in a condensed space – a high number of plant species and habitats that are sometimes quite distanced from one another in nature. It also serves as an introduction to the different Alpine habitats that can be encountered in the area, as the garden hosts most of the flora and vegetation typical of the Col Nudo-Monte Cavallo massif (highest elevation 2,471 m), comprising the foothill area. 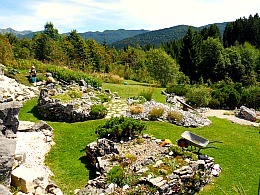 The Alpine Botanic Garden of Cansiglio covers an area of ancient human settlement, characterized by scarcity of surface water. It occupies a calcareous site of around 3 hectares at about 1,000 m of altitude, and it is articulated on different levels. The modern representation in order beds and habitats allows visitors to get to know and appreciate environments that are becoming endangered, rare – or, in some cases, have all but completely disappeared (above is a picture showing the Rock Garden area). In terms of individual plants, in the Alpine Botanic Garden of Cansiglio are currently hosted many different species, some of which are seriously endangered, while others are vulnerable. As for the geologic aspect (more on this later), in the course of these last few years it was possible to enlarge the garden so to include an area of karstic origin (“carsismo a blocchi” in Italian), with dolines and a natural sink-hole. 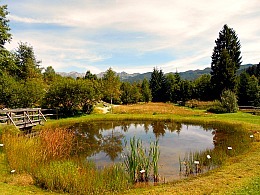 Much attention was given also to the creation of an Alpine pond – locally known as ‘lama’ (see a picture below). Other positive changes include the introduction of a more efficient system of irrigation, the completion of a network of new paths and trails, an expansion in the number of beds and habitats represented and the creation of two peat-bogs – plus a space dedicated to officinal and poisonous plants. The transformation of beds into real habitats – all presented as natural plant associations – provides a pleasant landscaped outlook to the garden, and means a significant increase in the number of species hosted. An analysis of the list of plants present within the garden over the course of the years has allowed to assess the improvements that have taken place, and to stress the scientific-didactic evolution of the garden itself. On that respect, one should therefore notice that the number of species has increased from 58 in 1978 to the current 750, while the prospect is that of going above the figure of 1,000 – so to eventually get closer to the 1,500 plant species that are naturally present in the area. 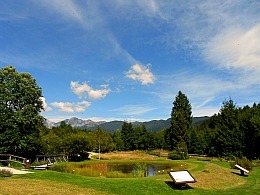 This is just a general overview of what the Alpine Botanic Garden of Cansiglio has to offer. There is a specific page for more detailed information on the plants and habitats present in the garden, while the purpose of this page is to concentrate more on the geographic and geologic/geomorphologic setting in which the garden is located, and to investigate the nature of Cansiglio at large (below, an image of the natural environment in which the Botanic Garden is immersed). The territory here considered – the Cansiglio plateau – is notoriously situated at the boundary between two important bio-geographical regions: the Alpine and the Balcanic-Dinaric. It thus represents a bio-geographical threshold, with Illyrian and Dinaric influences expressed by a high rate of endemic species that make this part of the Alps one of the most important conservation and differentiation centres for the flora in the whole Alpine chain. The geological structure and the glacial phenomena contribute to make this territory orographically complex, and therefore apt to host potentially quite diverse habitats. It is, in fact, a biodiversity hotspot, in which near-natural – and often quite wild – environments coexist side by side with others in which the traditional anthropic (human) activities have created ecological niches that enrich the naturalistic heritage. Geographically, this area includes the massifs of Col Nudo (2,472 m), Monte Cavallo (2,251 m) and the Cansiglio proper – the latter with two determining components when it gets to botanic investigation: on the one hand, the Cansiglio Forest, which represents an extraordinary, unique reality in its own right; on the other hand, a section of the Cansiglio plateau belongs to Friuli, which was the first region in Italy to publish a floristic atlas – that is, a list of all the species of vascular flora divided by areas of distribution within a given territory. Another determining element to explain the high biodiversity in this area is linked to its peripheral position at the margins of the Venetian plain, with abundant precipitations: this is the main cause for the particularly lush vegetation – bar the presence of a few pioneer plant species typical of the dominant calcareous-Dolomitic substrate. As for the flora of Cansiglio, there exist historical data on the management of the forest, and single floristic reports, but one needs to reach the second half of the last century – between the end of the 1960s and the 1980s – to register an impulse in the research, with the first phyto-geographical considerations on certain peculiarities of the vegetation of the area, and the first reliable floral check-lists of the different nature reserves contained within Cansiglio. In the following decade, more complete floristic checklists were made, together with phyto-sociological synthesis on different habitats; as a matter of fact, this territory was never treated as a homogenous entity, and still today there are areas which were never fully explored (certain neighbouring areas – such as Alpago – are still not very well-known today, and lack in updated checklists for their flora). In any event, the actual level of knowledge on the vascular flora of the area allows to confirm biodiversity values that are superior to average, thus witnessing to the elevated bio-geographic richness of the nature of Cansiglio. From the studies that were carried out, the most vulnerable habitats clearly stand out, and the most elevated number of species at risk are among those of Euro-Mediterranean distribution (but with representatives also from temperate-cold climates). Among the bands of vegetation of important bio-geographic interest within the nature of Cansiglio, particularly noteworthy is the foothill area, rich in residual arid-steppic habitats (most notably meadows). On the Cansiglio plateau itself, and in the depressions that characterize its pastures, the natural pools known as ‘lame’ are exceptionally interesting habitats too – and not just for their flora, but for the extraordinary overall contribution to local biodiversity. In nearby Alpago, a biotope of relevant interest for its vegetation is the SE slope of Monte Dolada (1,938 m): even though here the exceptional meadow habitats are progressively evolving towards more shrubby formations, with loss of sites for orchids, the ridge is nevertheless still relatively unspoilt, with important stations of Geranium argenteum, Androsace villosa and the strikingly blue Eritrichium nanum. More so than other areas, the other side of Cansiglio – sloping down towards the val Cellina – with the Pre-Alps around Claut also represents a territory hosting elements of exceptional phyto-geographical value: here are localized the extreme floral penetrations from the western Alps, such as Leontodon tenuiflorus, Hymenolobus pauciflorus and Festuca alpestris. From the east come instead species that find here their westernmost expansion – and these include Festuca laxa, Thlaspi minimum, Gentiana froehlichi and Primula wulfeniana. As for the endemic plants from the Dolomites, we find here the south-easternmost stations for Campanula morettiana and Primula tyrolensis. The local endemic component includes some precious entities such as Galium margaritaceum, Spiraea decumbens subsp. tomentosa, Leontodon berinii (pictured below) and – especially – Arenaria huteri; it is also worth mentioning an important disjointed station of Lembotropis emeriflorus. Exceptional too is the recent find of Illyrian-Balcanic species such as Daphne blagayana. Finally, it is of extreme importance the discovery and description of a carnivorous plant that thrives on damp, dripping rocks: Pinguicula poldinii. From the foothill plains to the 2,471 m of Col Nudo, four out of the five vegetation bands typical of mountain habitats (also known as “altimetric bands” ) are represented in the Alpine Botanic Garden of Cansiglio, with the sole exception of the Mediterranean. Here follows a brief description of these vegetation bands. In the so-called Middle-European band, which goes from the high plains up to about 1,000 m of altitude, a mixed broadleaved woodland dominates, composed mainly of oaks and hornbeam; at lower levels, woods have often been substituted by cultivated areas, while at the highest altitudes man-made meadows and pastures still prevail. In comparison to the potential situation, here only a reduced contingent of oaks can be noticed – a circumstance determined both by natural climatic factors and the frequent coppicing of the past that has highly favoured hornbeam. The “orno-ostrieti” (an association composed of hop hornbeam and Manna ash as dominant species) are the most frequent woods in the sub-montane vegetation band, on steep mountain slopes. The soil is here often quite shallow, and based on layers of detritic origin. The primitive “orno-ostrieti” that grow on the lowest slopes of Cansiglio present a floristic component similar to those of pinewoods that tolerate well humidity variations and running surface water. Only on less steep slopes, where the topsoil is not being washed away by precipitation, can one appreciate a noticeable contingent of more exigent species, in particular common hornbeam – especially so in those locations exposed to the north. In damper habitats are fragments of mixed maple and ash woodland, of good naturalistic value; sometimes a rarer combination maple-lime can be found too – this particular association being protected at European level. Of relevant and absolutely high value for the local flora are also the residual fragments of arid meadows: these habitats are usually composed by warmth-loving species of Sub-Mediterranean or steppic origins, which often include a rich presence of rare orchids – hence their being prioritized for protection at European level. Interesting too is the consortium of plants that can be found at the margins between meadow and woodland, with a prevalence of Geranium sanguineum. The areas more exposed to the influence of man – with small vineyards, orchards and cultivated patches – are also quite important for the conservation of biodiversity, even though they rarely host endangered species (these agricultural environments are not represented in the garden). The Sub-Atlantic climatic band – that corresponds roughly to the montane zone – ranges from 800-900 m to 1,400-1,600 m and is characterized by a prevalence of beech and mixed woodland of beech and Silver fir: here are found the lusher woodland formations, which go from the warmth-loving associations of the external slopes to those of the mesic (cooler) soils, to finish with the high-montane habitats rich in "tall herbs" (‘megaforbie’ in Italian). In the depressions of the Cansiglio plateau, formations of Norway spruce can also be observed; sometimes, on abandoned meadows, Norway spruce can behave as a pioneer species too. In the beech-wood (and in the mixed formations with Silver fir) are some rare species for the whole of the Oriental Alps, and of a more Central European distribution – such as Veronica montana, or the even rarer Cystopteris sudetica, which has been included in the Red List of the Italian flora only in recent years, and that can also be considered a precious bio-indicator. The floral display is quite rich in eastern species too, as demonstrated by the abundance of Cardamine trifolia, Euphorbia carniolica, Lamium orvala and Dentaria enneaphyllos. In stations that are fresher and more humid instead, the potential strength of ash formations (Fraxinus excelsior) can be noticed – a tree able to use and fix high quantities of nitrogen. To be reported is also how under-use of agricultural land, elevated humidity and the presence of a consistent colony of deer have favoured the diffusion of an invasive coarse grass, Deschampsia caespitosa. As said already, of substantial value are the natural pools (‘lame’) and other biotopes that – as well as augmenting biodiversity – are elective habitats for the reproduction of several animal species, especially amphibians. Numerous are the entities of Red List present in these sites; as a rule of thumb, all springs, wells and pools are to be considered essential habitats for the functionality of the ecosystem, and here floral species such as the rare carnivorous Drosera rotundifolia can also be found. The oceanic climate, characterized by high rainfall, is evident in the whole basin of Cansiglio when noticing the low level of the tree line, reaching here only about 1,700 m of altitude. The passage from the montane to the Alpine vegetation band is gradual, and signaled by the habit of growth of stunted trees, which tend to become smaller in size and form a basal ‘knee’. The floristic composition also varies, becoming richer in cold-loving entities that are typical of Sub-alpine shrubby habitats and of other environments covered in snow for long periods; particularly relevant are the willow formations, interspersed with Green alder, Rhododendron, Dwarf juniper and ferns. A unique role is played by Dwarf mountain pine – an emblematic species for the whole Dolomites and Pre-Alpine area. In some cases, beech formations come into direct contact with Dwarf mountain pine, while occasionally the latter even come down to the point of colonizing the scree slopes, and occupying the lower valley floors. The shrubs of Dwarf mountain pine associated with Alpenrose (Rhododendron hirsutum) are to be considered a priority habitat at European level. All these presences mark the passage from the Alpine to the Boreal climatic band, generally represented by conifer woodland, but in Cansiglio these formations are not particularly rich, for orographic – as well as climatic – reasons. In the Boreal band, Sub-alpine meadows can also be noticed – in the past generally used as pastures and today especially rich in Ericaceae species. True Alpine meadows belong to the band above 2,000-2,200 m of altitude, and are found in correspondence with environments that were strongly affected by the glaciations: the sub-nival valleys of Monte Cavallo (2,251 m), for example, are a particularly interesting hotspot for biodiversity, to be studied also for their playing a role as ‘Nunatakker’ during the last glaciations (that is, islands free from ice, where several plant species have remained and survived since the ice-age), hence the presence, here, of relic entites – either sub-endemic or at the margins of their natural area of distribution, with significant disjointed stations (such species include Geranium argenteum, Arabis vochinensis, Festuca laxa and Grafia golaka). A fundamental contribution to biodiversity is given by the primitive habitats (i.e. with superficial soil or even deprived of humus) and the a-zonal habitats (that is, not tied to any particular altitudinal band). Scree and detritus, also at lower level, host the most noble of Alpine flora, with exceptional flowers and an important contingent of endemic plants – one notable example of such species being Arenaria huteri. The most common group of plants on the rock faces is the association combining the endemic Spiraea decumbens with Alpine Cinquefoil (Potentilla tomentosa); in similar conditions but in habitats that are more typical of canyons, the association with ferns and Devils’ claw (Physoplexis comosa) is quite widespread too. Among the mossy habitats of the karstic rock faces of Cansiglio are plant associations with Sedum hispanicum still to be investigated properly. Various other notable plant communities – that are equally important – can be studied on the loose detritus (scree) habitats of the Val Salatis, on the south-eastern fringes of Alpago, the most relevant of which is probably the association that takes its name from the Fescue grass Festuca laxa (Festucetum) – a species of clear Eastern (Illyrian) provenance. Numerous are the floral rarities that can be found in these environments, with relic species that survived the quaternary glaciations and others of more recent origin, which differentiated right at that point in time (such as Asplenium fissum and Alyssum ovirense, for example). 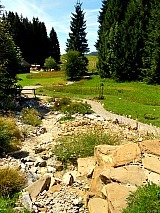 Among the a-zonal habitats that deserve a particular mention are the river beds, as it is in fact quite rare to observe stable environments in which the hydro-geologic regime was not altered by man-made interventions (in the image below, the area of the Botanic Garden dedicated to recreate a dry river bed habitat). Just outside the territory considered here, the existence of an extraordinary habitat – of pre-eminent phyto-geographical value – is to be taken into account too: the ‘magredi’. These dry river beds are composed of herbaceous communities that have developed on the meager alluvial soils of streams and torrents in the plains of western Friuli. In these habitats are hosted plants of exceptional phyto-geographical value, with a high ratio of endemic and disjointed species. Of a-zonal character are also the pine formations with Black Austrian pine (Pinus nigra) and Scots' pine (Pinus sylvestris), which populate scree habitats and primitive soils exposed to strong conditions of humidity, especially along the middle Piave valley. These formations' floral variety is always very interesting: these are environments that, given their orographic conditions, rarely have evolutionary possibilities – if not with very long developmental times – and therefore tend to become stable components of the landscape. In the pinewoods of Black Austrian pine, elements of Eastern gravitation dominate – such as Knautia ressmannii and Euphorbia kerneri with Allium ochroleucum, Euphrasia cuspidata and Campanula thyrsoides. In the wood clearings one can observe several different other plant communities, each of which can give out useful information on the prevailing ecological factors – for instance, on the Cansiglio plateau there is a rare association with Deadly Nightshade (Atropa belladonna), one with Epilobium angustifolium, and another one with Raspberry (Rubus idaeus), which has a tendency to colonize and close old meadow clearings, becoming invasive at times. Other aspects of degradation include – in wetter habitats – associations dominated by Eupatorium cannabinum and/or Bittersweet (Solanum dulcamara); typical are also the "tall herbs" associations, and other communities with Senecio cordatus and Impatiens noli-tangere. 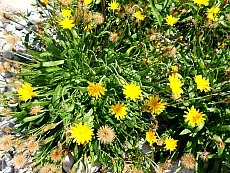 Even the sin-anthropic vegetation (linked to the presence of man) can contribute to enrich the environment, as it can sometimes host certain floral rarities; in this respect, one can be reminded of the case of Spergula arvensis or of Peplis portula, which occupy the muddy banks of the pools (‘lame’). All in all, the contribution of agricultural and pastoral activities to biodiversity in this area cannot be underestimated; certainly, also, some habitats have suffered more than others from intensive exploitation, and this has in turn impoverished the soil, making woods and pastures poorer and less productive. In more recent years there have been some ecologically disputable interventions too – such as new conifer plantations and the damage suffered by some wetland. Despite the apparent homogeneity of its vegetation, though, for the variety of situations it offers, the nature of Cansiglio can rightly be considered a special laboratory apt to register the consequences of the most recent climatic variations. The most important areas for floristic interest need to be monitored; for example, the tradition of cattle farming – and therefore the need of pastures for grazing – is well consolidated in Cansiglio. Rarely do these habitats conserve elements of extraordinary level for their flora, but it is important that grazing is kept under control, avoiding both over- or under-use of the land, as balance in the number of animals is important in order to preserve the meadows' biodiversity. Communities of invasive species are an even more frequent occurrence, and the central issue here is that of proper woodland management. Certainly, if such an important woodland and forest heritage such as the Cansiglio has reached us today relatively intact, it means that this territory has a specific vocation that deserves to be carried forward; also, it is fundamental to allow visitors the possibility to observe and experiment the natural evolution of certain areas of outstanding value – areas that need to be kept out of the normal planning procedures, monitored, and treated consequently. For instance, some of the broadleaved species that were penalized in the past, but that are native to this territory – such as beech – certainly do deserve more attention; also, today it is desirable to develop a type of forest that is closer to ‘natural’ types, while conserving and valuing appropriately those stretches of old forest in which the biggest and oldest specimens still thrive. It is important, too, to ensure the permanence of meadow habitats, as the population of deer in some areas impacts significantly on the floral composition. In general, and as a rule of thumb, in terms of governance it is vital to give precedence to the conservation of those microhabitats and special niches so to avoid – on the one hand – unconditional abandonment of the land and, on the other, in order to contain those forms of semi-industrial exploitation that simplify – but also trivialise – the habitats and, as a consequence, the territory's biodiversity as a whole. From a geologic point of view, the nature of Cansiglio as individuated here presents a band to the north – and extended east to west – where rocks dating to the Secondary period (Upper Jurassic/Cretaceous) surface: these are limestone of various formation, but mostly of marine origin – as in fact most other rocks in the area. Moving to the south, one encounters an older band of rocks, mainly constituted of Dolomia (‘Dolomite’), and then again rocks from the Upper Jurassic/Cretaceous period. An extended area of limestone (calcareous rock) from the Upper Cretaceous follows: these are rocks typically deriving from ancient coral reefs, and therefore rich in fossils; an exception is represented by the Alpago basin to the west, where softer Tertiary rocks emerge – and these are mainly composed of marl, molasses and clay. To the south, one encounters again the huge escarpment that delimitates the Col Nudo-Monte Cavallo group (maximum altitude 2,471 m), which is also linked to a narrow band of soft Tertiary rocks that mark a boundary and the passage from the massif to the plains of Veneto and Friuli. We know from geology that this area (from Trias to the end of the Tertiary era – a time lapse of nearly 200 million years) was occupied by the sea, so that the rocks of these mountains are mainly of marine origin – a fact well witnessed by the fossils that can still be found while walking in the area. Towards the end of the Tertiary era, the orogenetic pushes from the South became progressively more intense, fracturing and folding enormous blocks in the most various ways, and sliding rock layers on top of each other, so that the rocks that emerged from the sea were progressively attacked by the atmospheric agents. These pushes gave origin to big folds directed east-west, and to huge thrusts that slid on top of each other along fault-lines; these phenomena affected more intensely the northern section of Cansiglio but were less frequent in the south, where the folds dominate. Naturally, water and the melting ice from the Quaternary glaciations looked for the easiest way to flow, thus eroding the bedrock, expanding the discontinuities and forming deep valleys separated by ridges and vertiginous rock walls; an exception is represented by the wide enclosed basins of tectonic origin of Pian Cansiglio (to the west), Pian Cavallo (to the east) and Alpago. In the Quaternary era there was an alternation of colder phases – when the glaciers advanced – and warmer ones, during which the ice sheet retreated, leaving along its way rock detritus and boulders that would later be termed ‘moraines’. In the area considered here, particularly important was the Piave ice sheet, whose basin roughly occupied the current riverbed. The glacier of the eastern Dolomites was sliding down the actual Piave valley; from there, a branch headed east into the Vajont valley, while the main course of the glacier continued its journey south, eroding the mountain slopes towards what is now known as Val Belluna, and giving the valley its typical glacial ‘U’ shape. An additional minor section then branched off towards the Valle Lapisina and Vittorio Veneto, skirting the Cansiglio and forming the so-called “moraine amphitheatre of Vittorio Veneto” ('anfiteatro morenico di Vittorio Veneto'). The Alpago basin was covered by this branch of the glacier, but because of its relatively low altitude the Cansiglio plateau was not occupied by the ice sheet; snow deposits were left only in the small depressions at its margins, such as at the peat bogs at Palughetto and in other locations exposed to the north. Worth mentioning are also the deposits of Loess: a fine yellow-brown silt that was formed in a cold steppic climate, and was then brought and deposited by the wind. Flint artifacts were found inside the Loess, dating back to the Epigravettiano and Epi-Paleolithic periods; in fact, these finds represent first evidence of the presence of man in Cansiglio and Pian Cavallo. The ancient marine deposits, after having been transformed – over the course of millions of years – into hard, calcareous Dolomite rock and softer Tertiary marls were then pushed to the actual locations and fractured by orogenetic forces pushing from the south; then, water from meteoric precipitation, which has the capacity to melt limestone, penetrated along the fractures and originated characteristic shapes. Where calcareous rocks emerge and the shapes were flat – or concave – the melting of limestone was quite significant, and a deepening of the original fractures followed: the term “polje” is then used, in such cases, to define a closed basin where the soil surface corresponds to the inclination of the layers, which is further deepened by karstic phenomena – as it happens indeed on the Cansiglio plateau. In the interior of the basin one can distinguish other, smaller depressions known as ‘uvala’; inside these are further small cavities known as ‘doline’ (most of these are Slavonic terms). These minor depressions are located especially where different rock layers encroach, creating a natural point of absorption of rainfall water and therefore enhancing a further melting of rocks; also, the ‘doline’ are more numerous and of bigger proportions in the flat areas where limestone formations emerge. The phenomenon of thermal inversion – which is very prominent on the Cansiglio plateau – favours karstic phenomena too: very often, fractures in the rock are widened by corrosion, which forms big isolated boulders – especially notable in the more elevated areas: this is the genesis of the so-called ‘block-like Karst’ (“carsismo a blocchi”). On most calcareous surfaces one can also observe smaller corrosion phenomena. All of the karstic shapes thus generated are of the so-called ‘covered’ type: block-like and small erosion phenomena that have all rounded edges, as they are covered in mosses and lichens; on the contrary, further up in altitude – where the vegetation is largely absent – one can notice that the shapes have a much more spiky and cutting edge. Naturally, water penetrates in the fractures, and once it has reached the bottom of the ‘doline’ it continues its journey downwards creating wells and cavities – karstic systems of huge depth and length that resemble ‘proper’ subterranean rivers. The majority of water going underground on the Cansiglio plateau then resurfaces at the Livenza Springs, some 750 metres below at the foot of the mountains! In Cansiglio were individuated and counted more than 200 subterranean caves, and their development can be quite striking. The most important sink-hole is the “Bus della Genziana” (the ‘Gentian Hole’), which is nearly 600 m deep and develops for about 4 km, but there is also the “Bus de la Lum”, which is perhaps the most impressive to see, despite being 'only' 185 metres deep. Several geologic, tectonic and geomorphologic evidence underlies the naturalistic value of the area. Right inside the Alpine Botanic Garden of Cansiglio is the passing of an important fault-line, marking a boundary between reef limestone (“calcare di scogliera”), which emerges to the south and in Cansiglio's lower section, and the “Scaglia grigia” (a grayish marl limestone that can be seen to the north). The alteration of these two types of rock produces also two different types of detritus, which are highly characteristic: reef limestone, very prone to karstic modifications, generates a reddish clayey soil, while marl limestone – less apt to be modified by karstic activity – has modeled the rocks in highly characteristic forms. It is also interesting to notice how, following measurements of the erosive mechanisms acting on the rocks, an average annual lowering of about 100 to 300 millimeters has been detected on the Cansiglio plateau – depending on the type of bedrock, precipitation and altitude. From a geo-morphologic point of view, the little karstic well located inside the garden can be termed a ‘snow well’, as snow can linger inside it for the whole year, with a significant thermal inversion – thus creating a characteristic microclimate (not surprisingly, it is called 'Bus del Giaz' – the 'ice hole'). Another small sink-hole, which now tends to fill up, reminds us of how karstic phenomena always keep their slow but unstoppable activity going, with several points of absorption and subterranean cavities. Detritus tends to disappear in the depths – especially in those areas were the rocks are most fractured, and from these cavities cold air constantly comes out throughout the year, keeping a steady temperature of about 6° to 9° C; in fact, these holes were once used as natural fridges during the summer! This ends the general presentation on the Nature of Cansiglio and on the environment in which the Alpine Botanic Garden of Cansiglio is located. Should you wish to read more, may I remind you that on this website you can also find a detailed description of the visit route within the Botanic Garden, with all of its different parts and habitats described in depth.